For over 14 years, Remedy Pest Control has been the Residential and Commercial Pest Control Company of choice for homeowners and businesses in Birmingham, AL, Bessemer, AL and surrounding areas. We are licensed and insured and ready to serve you today! Remedy Pest Control is a local, family owned and operated company which means no turn-over of employees and no new faces or strangers knocking on your door every month. If you are in need of pest control services, just call and ask for David. We Kill Mice, Rats, Cockroaches, Ants, Spiders and Many Other Household Pests in Jefferson, St. Clair & Shelby Counties! 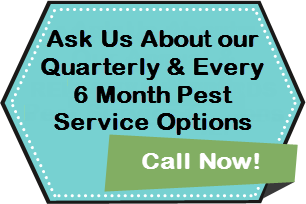 We Offer Many Specialty Pest Control Services Such as Mosquitoes, Bed Bugs & Termites too! Termites, bed bugs and mosquitoes wreak havoc in Alabama homes. Termites eat through your home’s structure and cause thousands of dollars worth of damage. Bed bugs quickly multiply and feast on you and your family during the night. Mosquitoes swarm in your backyard, spread diseases and ruin your family’s fun spent outdoors. 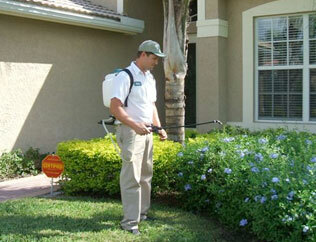 Remedy Pest Control offers affordable home pest control treatments to eliminate these and other pests. Call us to get your happy home back today! We offer pest, bed bug and termite inspections. After which, we present custom recommendations to best suit your needs and circumstances. Birds can be a serious problem for home and business owners in Alabama for several reasons. Their droppings are not only unpleasant and a slip and fall hazard, but also unsanitary. As time passes bird droppings become conducive to a type of fungus that causes the histoplasmosis, a lung infection. Bird and wildlife nests in structures also become a breeding ground for other pests like ticks, mites and carpet beetles. Wildlife can cause extensive damage whether to insulation, electrical wiring and other areas in the attic, under decks and porches or around your yard. Many types of wildlife will bite people and pets when they feel threatened and their droppings are also unsanitary and hazardous to human health. Pest Infestations are No Problem for Remedy Pest Control! At Remedy Pest Control, we understand how unsettling and unnerving the discovery of a pest infestation can be. No one wants to face the grim reality of having rats, cockroaches or ants running around inside their walls, kitchen, or for that matter, anywhere they consider home or work. Ignoring the problem will not make it go away, and this is why Remedy Pest Control is dedicated to offering as much information about pests as possible, so that you know what you are up against and can relax, knowing that we have a solution to your unfortunate pest control problem. Stinging insects such as bees, wasps, yellow jackets and hornets, are common summertime pests. Unfortunately, their stings can be more than just a painful nuisance. The National Pest Management Association (NPMA) reports that stinging insects cause more than half a million people to visit the emergency room every year. For more information, call David at (205) 307-0540 or send us an email today! 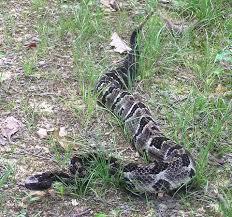 Snake Control – call us for all of your Birmingham snake control in both urban and rural areas. Household Insect Control – including cockroach control, ant control, flea control, cricket control, spider control etc. Mice and Rodent Control – including exclusion & trapping, remediation and follow up.